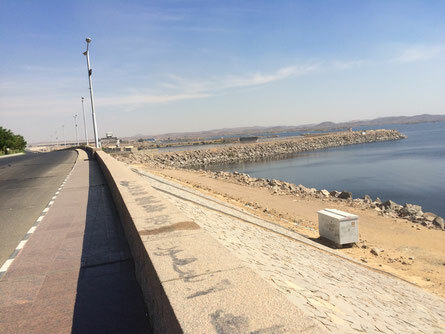 The High Dam of Aswan is one of the most important achievements of the in the last century in Egypt, even for many years it was a symbol of the New Era of the Revolution of 1952. It provided Egypt with water and electricity and secured the country of the risk of the destructive inundation. it was one of the most important achievements of the last century in Egypt, for many years symbolising the New Era after 1952. Today It provides Egypt with water and electricity, and secures the country from the risk of the destructive inundation of the River Nile and as a result of building it formed the biggest artifical lake in the whole world which is called lake Naser. No rock speaks such volumes as the Unfinished Obelisk. 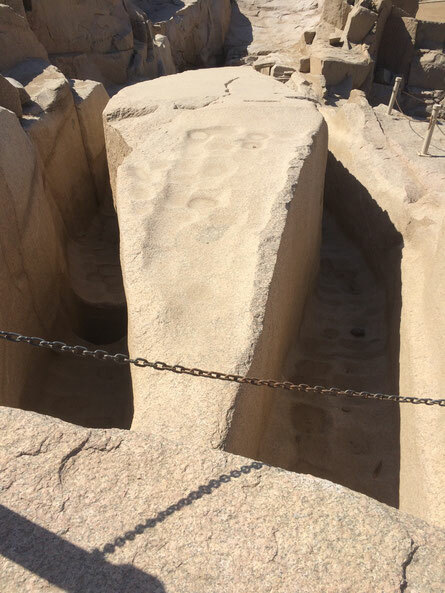 commemorating the presence of a lost city from its rocky bed in an ancient quarry high above Aswan, it speaks of the hubris of the pharaohs and the grueling labor of their minions, of the triumphs of quarrying and its unimaginable failures. 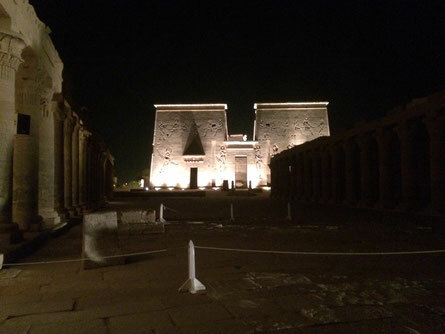 Had it ever made it out of its stone cradle and assumed its position before Karnak (or wherever its creator planned to place it), it would have been the greatest obelisk ever raised, a monument worthy perhaps of "Wonder of the Ancient World" status. As it is, the Unfinished Obelisk is the obelisk raisers' most grievous tragedy, a lasting reminder of the limits of human engineering. It is one of major land marks in aswan. It is situated on an island called agilika which is ranked as one of the most beautiful spots in Egypt. It was known as the (pearl of egypt) because of its many palm trees and striking groups of temples of sandstone. Here pharaonic, ptolemic, roman and christian constructions all blend together in a symphony of symmetry and beauty.